The mastoid fontanelle is located at the meeting of parietal with the mastoid part of temporal. Mastoid fontanelles are small and irregular. In an infant’s head, it is one of two zones where the skull bones have not enclosed the brain entirely. It is considered as one of the soft spots also. The mastoid fontanelle generally fades by the time when the infant is around a year old, because the plates of the skull grow and fuse together. 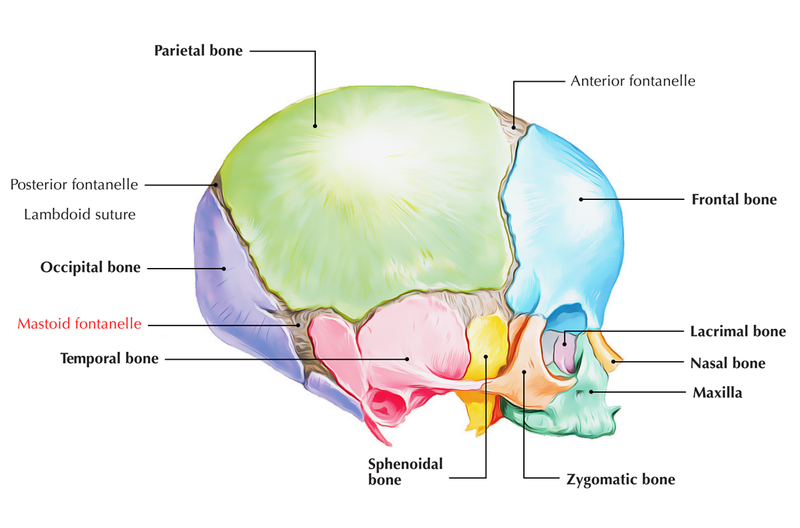 On each side of the head, there is one mastoid fontanelle which is located just below the parietal bone and in the middle of the front part of the occipital bone as well as the inferioposterior margin of the temporal bone.